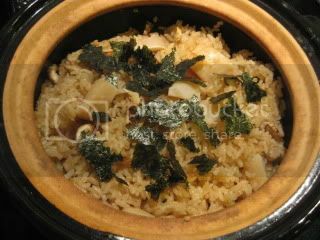 New Year is my favorite holiday of a year, and I love New Year celebration food ("osechi ryori"). 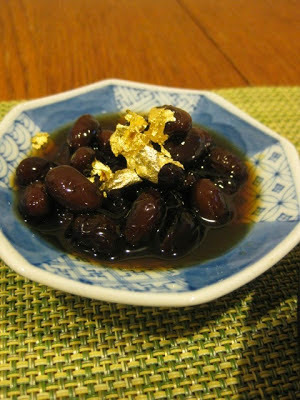 Without "osechi ryori", it's not exaggerating to say that I can't celebrate New Year. 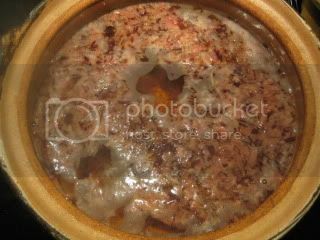 Because we came back from trip on December 30, and we were still tired on the New Year's Eve, this year, I did most of grocery shopping on January 1 and started cooking. 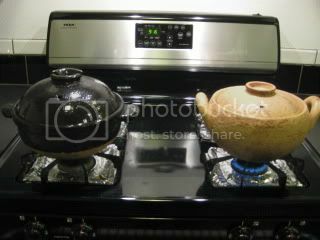 So, this year, I had quite a busy New Year's Day, and we had a kind of late dinner celebration. But, we still had a very nice time. 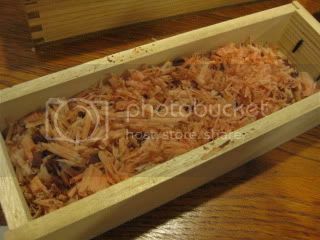 Jason helped me shaving special kind of dry bonito ("katsuobushi") called, "honkarebushi" for making dashi stock in donabe. 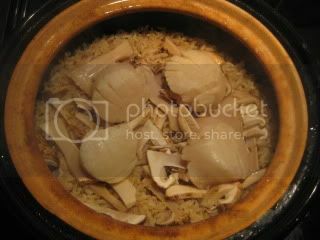 With double-lid donabe rice cooker, "Kamado-san", I made matsutake mushroom and jumbo scallop rice. 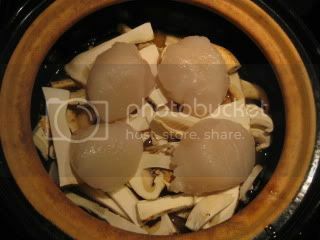 Tons of mtatsutake mushrooms and really pure jumbo scallops made this dish totally luxurious. With a topping of toasted nori, the dish was a special winner. 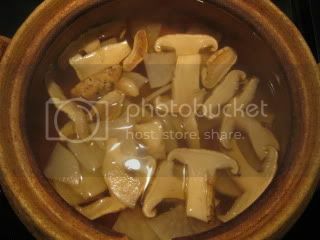 Yes, more matsutake mushrooms! 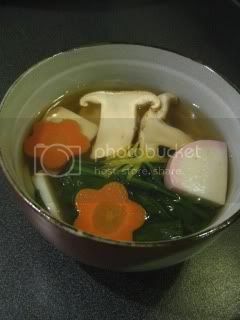 With soup & stew donabe, "Miso-shiru Nabe", I made New Year clear broth soup ("ozoni") with matsutake mushrooms, daikon, carrot, and spinach. 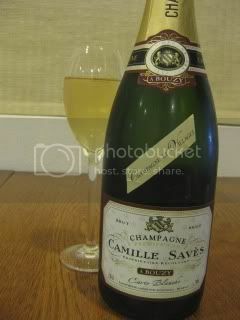 Camille Saves, Champagne, Carte Blanche Brut, Premier Cru (Bouzy) complemented our dinner beautifully. It was 75% PN and 25% Ch. Elegant soft mousse with high minerality and acidity. 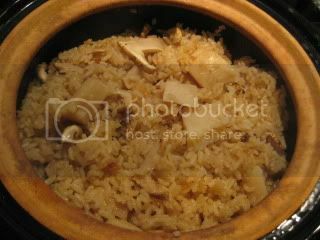 More New Year dishes to follow.